Abortions and medical care to be provided free on the HSE. Thousands of unborn babies likely to be wiped out as abortion regime gathers momentum. Doctor representatives are said to be haggling over how much medics should be paid to terminate the life of unborns. The government is proposing to provide abortion on demand free of charge to women seeking to end the life of babies in the womb. Abortion well beyond twelve weeks will also be available where the health of the woman is considered to be at risk. It is believed that thousands of unborn infants will be put to death as the abortion service expands in Ireland. Abortions will have priority over other cases awaiting medical attention, it’s understood. 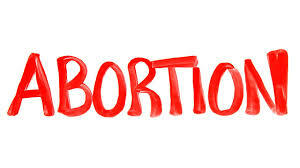 Sources have meanwhile indicated that doctor representatives are engaged in efforts to secure maximum payments in connection with the termination of unborn babies. According to accounts, the Department of Health is offering about €400 for each termination carried out under Ireland’s new abortion legislation. The baby termination payments to doctors will issue through the HSE, even though funding from government for many other services is so tight that thousands needing medical procedures have to wait indefinitely for hospital appointments. GPs have also been complaining about pressure on practices, with some saying that additions to existing patient numbers are not possible or have to be deferred. There are some questions as to whether under pressure GPs will still make room for abortions and medical care services. Hospitals in Cavan, Kilkenny, Letterkenny and Wexford have reportedly warned of a shortage of facilities and resources to facilitate abortion services. Harris, the Minister for Health, has said a buffer zone will be created around medical abortion units to prevent any public protests being mounted near the sites.